Having moved house this week it would be a fair statement to say that I have been stressed out! Hella stressed out! What with shelves breaking on me, earrings getting lodged in my foot and splinters tearing my hand apart it’s been a harrowing experience. Thank the powers that be then for the stress relieving Mayan powers of Vanished: The Island. A short, but nonetheless lovingly designed and surprisingly beautifully scored, IOS game that was released this week VTI has been the tonic that I desperately needed to put my mind off those moving blues. 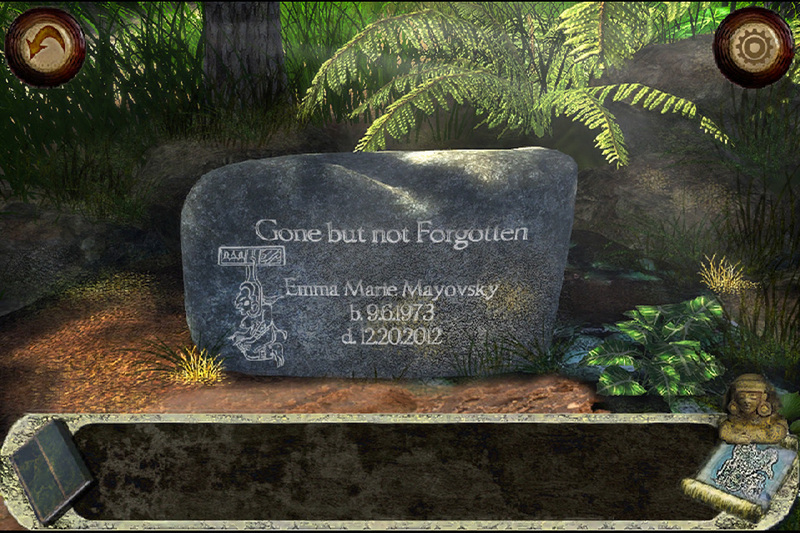 Bought to us by those fine people at Skyhorse Interactive, VTI is a first person point and click adventure game. Think of classics in the genre such as Myst and Riven and you’ll get the idea. 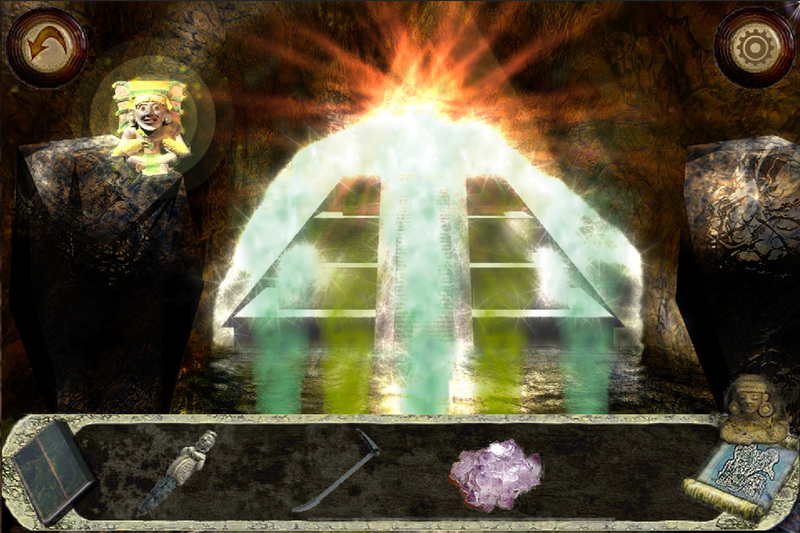 You start the game by receiving an invitation to a mysterious island where your aunt (whom has vanished) was working on excavating some Mayan ruins. It becomes apparent quite quickly that this is no ordinary disappearance as events take a turn toward the paranormal as you start coming across strange and unexplained phenomena. The game itself is powered by Unity and as such all the pre rendered backgrounds look very swish indeed. Special mention has to be made to the lighting effects, the lens glare used often would give JJ Abrams cause to stop and admire. And the water effects, although used sparingly, look absolutely beautiful and definitely fill you with a relaxing calm whenever you come across a babbling brook or glistening stream. The music in this game caught me off guard as well with just how well produced it sounded. 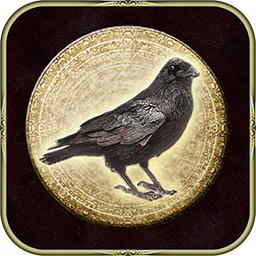 It strides confidently between spooky and mysteriously atmospheric where appropriate and really adds some depth and emotion sorely lacking in other IOS games in the same genre. I only have two very minor complaints with the overall product. The first is that there were only a couple of points in the game where the puzzles felt genuinely challenging. DAMN YOU TILE SLIDING PUZZLES! THOU SHALL EVER BE THE BANE OF MY LIFE! Most solutions were very obvious and only required the dragging of an item onto the interactive object. This brings me onto my second niggle, and that is due to the puzzles being quite easy I flew through the game in about an hour. HOWEVER even with these complaints I truly madly and deeply enjoyed my time on the island. I loved exploring it, and taking in all the stunning backgrounds was a genuine visual treat (I even screen captured some to use as wallpaper on my phone they were that tasty) and as I said it was a perfect game to unwind with and forget about all the stress and hassle that comes with moving house. Now the game does leave itself open for a sequel and I am getting married in august. This too, I imagine, will give me my fair share of grey hairs so, Skyhorse, do you think you could release VTI2 by then? Cheers! And thank you once more! 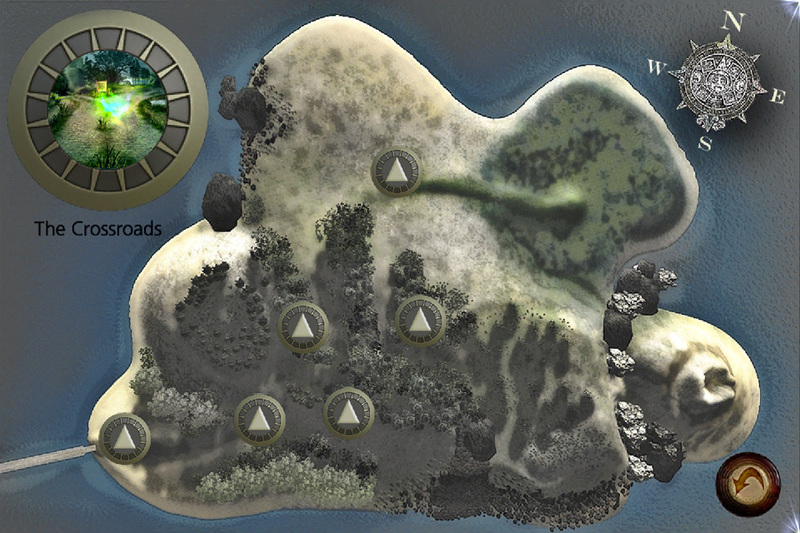 Vanished: The Island HD is now available for the iPad!